‘Bold and the Beautiful’ spoilers indicate that Hope is getting more infatuated with baby Phoebe by the day, whereas Zoe is on the cusp on extracting the truth from Florence. Brace yourself for a wild ride this week as some shocking truths are exposed and lives are turned upside down. 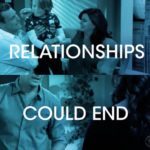 If you missed B&B, here’s what you need to know. At Steffy’s house – Liam Spencer (Scott Clifton) and Hope Logan (Annika Noelle) are talking about the loss of Beth and the adoption of Phoebe by Steffy Forrester (Jacqueline MacInnes Wood). It’s too much for them to handle. Hope can’t stop thinking about Phoebe. She’s so beautiful, she’s Kelly Forrester’s (Zoe Pennington) little sister and now she’s a part of Liam’s family too. They are so lucky to have her. Hope asks Liam to go today and see all three of them. Liam refuses at first but Hope insists. He should go and spend time with Steffy and the girls. Hope asks for a favour. She wants to come to Steffy’s with him. Hope wants to spend time with Steffy’s girls? Liam can’t believe his ears. Liam thinks that it’s better for her to relax and stay quiet at home. Hope feels like she needs this. She just wants to hold that baby. Liam doesn’t want her to believe that he doesn’t want her to go to Steffy’s house. He just doesn’t think that being around the baby is the best idea, especially Phoebe. He doesn’t want her to be stressed out. It can be a painful reminder of what they’ve been through lately. It’s hard for him to be there and he can’t imagine what that would be like for her. Hope thinks that being around the girls helps. At that moment, Liam gets a call from Steffy asking if he’s still coming. He tells her that he’s on his way. Meanwhile, Taylor Hayes (Hunter Tylo) just went to a meeting and she’s alone with the girls. He tried to ask Steffy if Hope can come but she hung up fast. At Forrester Creation office – (Ale)Xander Avant (Adain Bradley) and Zoe Buckingham (Kiara Barnes) are talking about Florence Fulton (Katrina Bowden). Never did her father mention anything about her. Maybe because he thought she’d never approve, Xander tells her. It’s not the first time he’s dating younger girls, says Zoe, but this Florence is different. She lives in his flat. Even if her father told her she has nothing to worry about, she thinks that’s not true. It’s just to protect her. She has the feeling that he’s mixed up with something bad and Florence’s involved. Her father is caught in some kind of a mess and she will find out everything. She says she’s going to go back to that apartment to look for some clues. Zoe uses her key to enter her father’s apartment. She starts digging through the papers and some drawers and she finds adoption papers. She’s stunned. Out of nowhere, Florence walks in furiously. She asks Zoe what’s she’s doing there, to which Zoe responds that she wants an explanation for the adoption. Florence tells her that she gave up her daughter for adoption to Steffy. Zoe finds all this very strange. She asks Florence who was her doctor and what date she gave birth, but Florence couldn’t answer. She doesn’t remember , she says. Zoe looks at her body and says that she doesn’t look like a mother that just gave birth. She tells her it’s clear Florence is hiding something. She asks Florence what’s going on and how it involved Steffy’s baby. At Wyatt’s house – Wyatt Spencer (Darin Brooks) and Sally Spectra (Courtney Hope) are in bed talking about Phoebe. She’s so beautiful and they are so lucky to meet her they say. Steffy’s with 2 kids right now, it’s crazy. Phoebe seems so happy. She will grow up in a stable home. They are in the bed in the middle of the day drinking beer and eating popcorn. Sally tells him that they couldn’t do that with a child. It can’t be so hard being parents if Steffy can deal with 2 kids alone for the whole year. Steffy feels so sorry after seeing Phoebe. She’s trying to see if there’s something that they can do for Hope. Wyatt knows that Liam and Hope are having a rough time right now, but what they can do is to there for them. At Steffy’s house – Steffy’s alone when Liam walks in with Hope. She was surprised when she saw Hope. Hope asked her if she can go and take a pic of the girls. Steffy prefers to wait until they wake up. Hope thinks it’s good for her to go out and see people. She’s folding girl clothes. Steffy and Liam don’t know what to believe. Steffy tells her that being here with Phoebe could make her problems worse. Liam agrees, but Hope disagrees. She’s fine there and it’s the right place to be. Phoebe starts crying and Hope insists to go and spend time with her. Liam and Steffy are watching her talking with Phoebe on the monitor. Hope is telling Phoebe what happened to Beth. She’s not crying. She even says that she forgets everything when she’s looking to her. She loves her so much, she says.